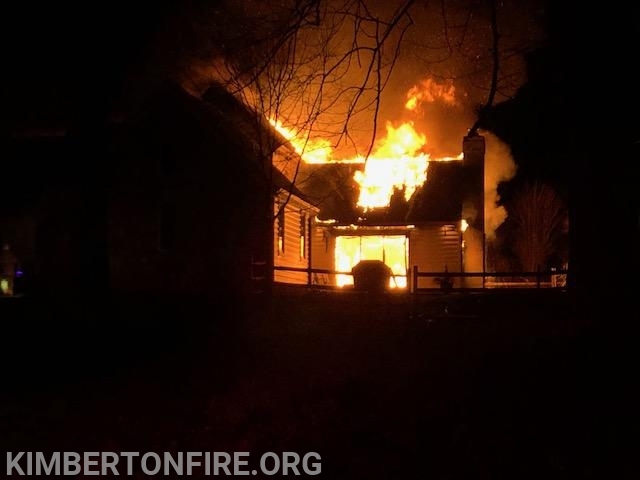 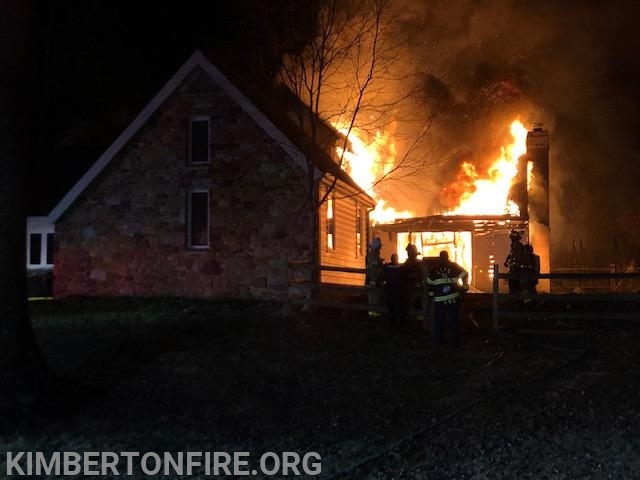 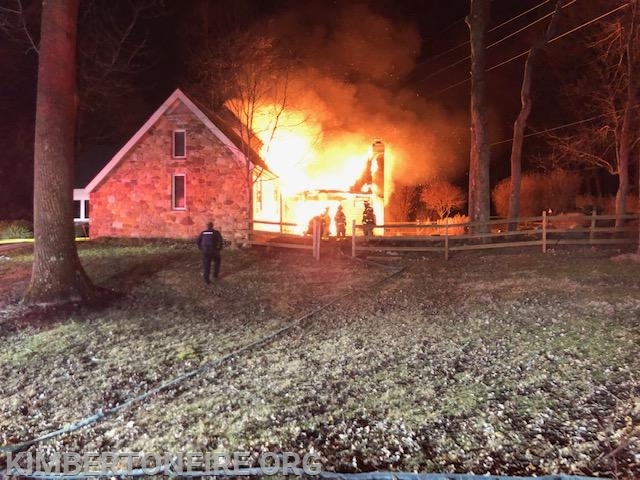 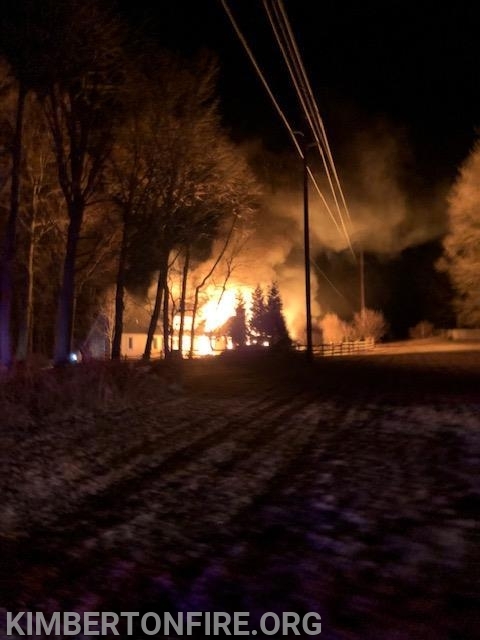 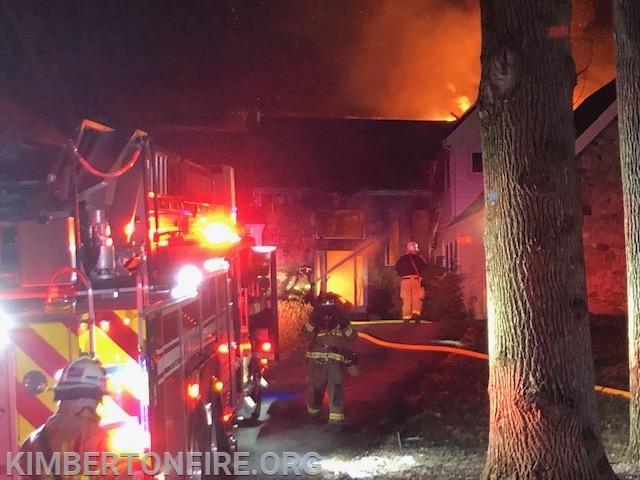 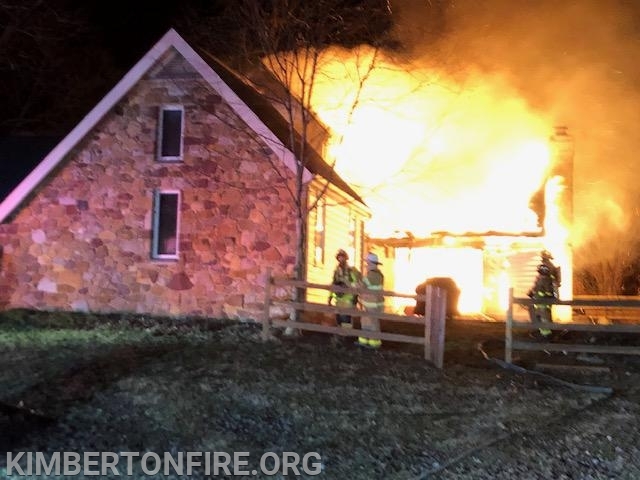 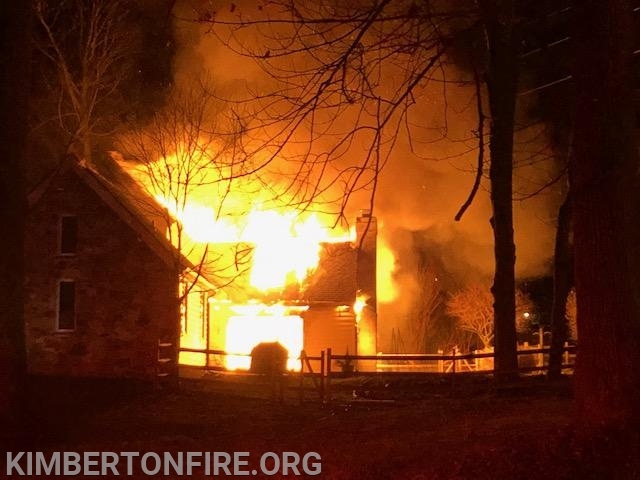 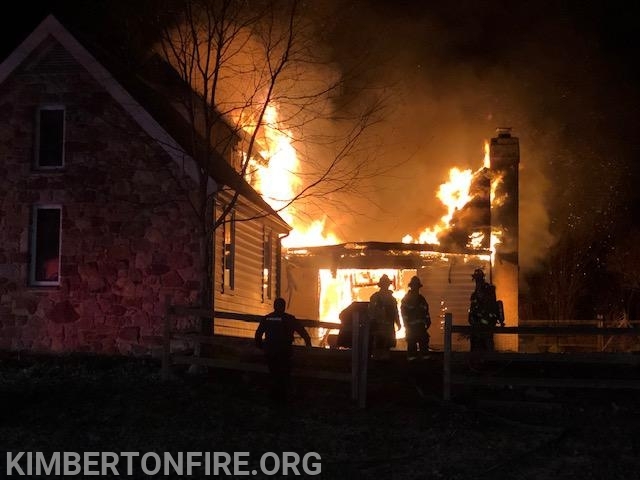 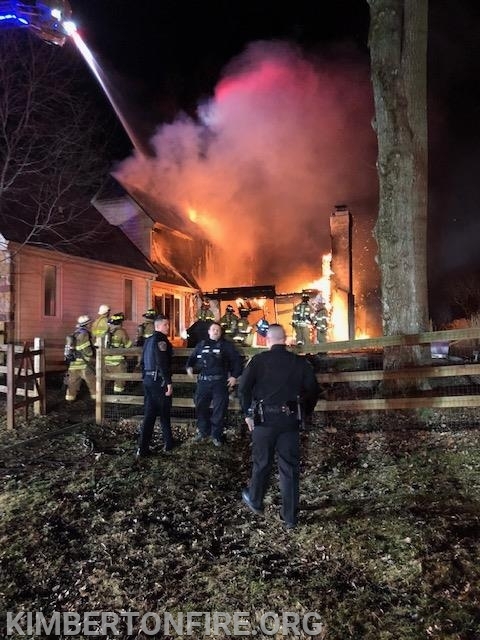 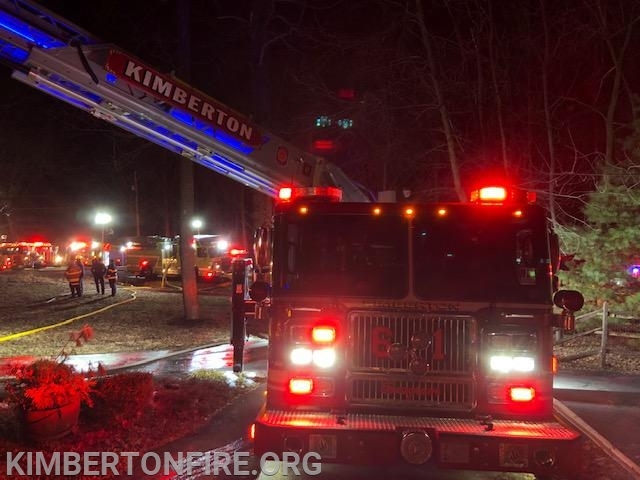 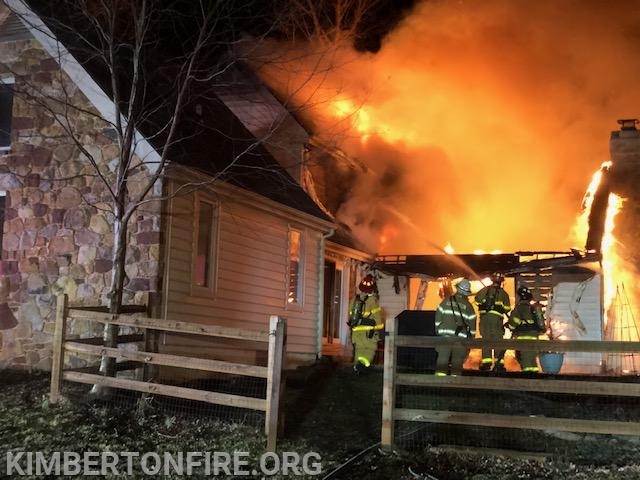 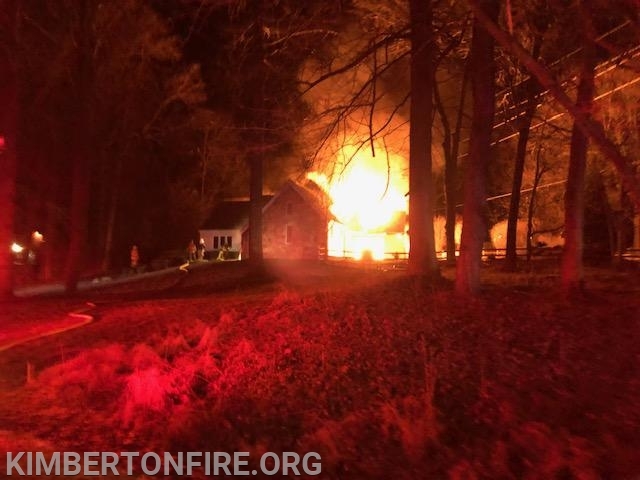 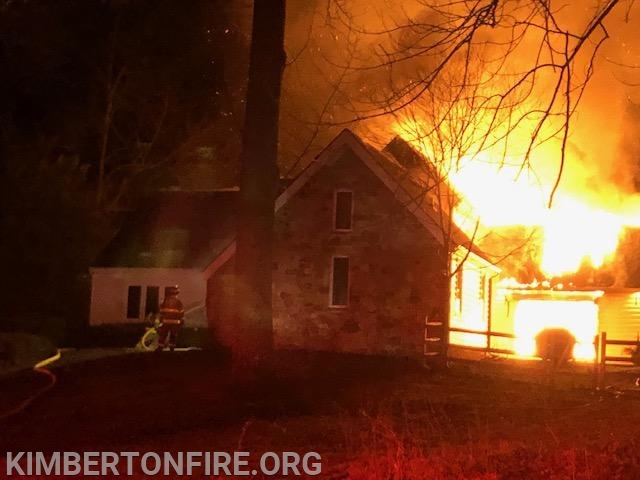 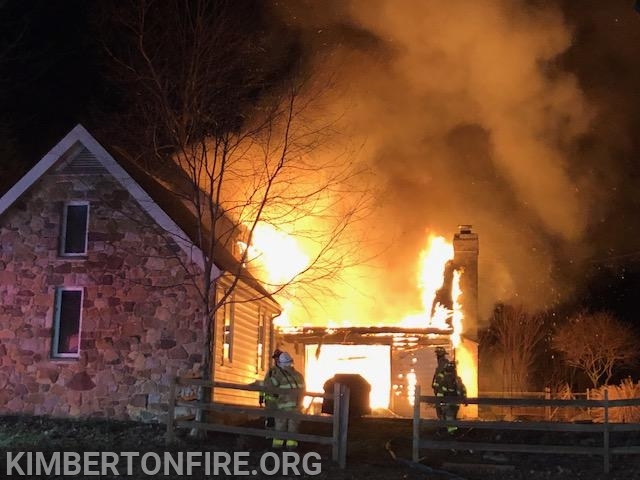 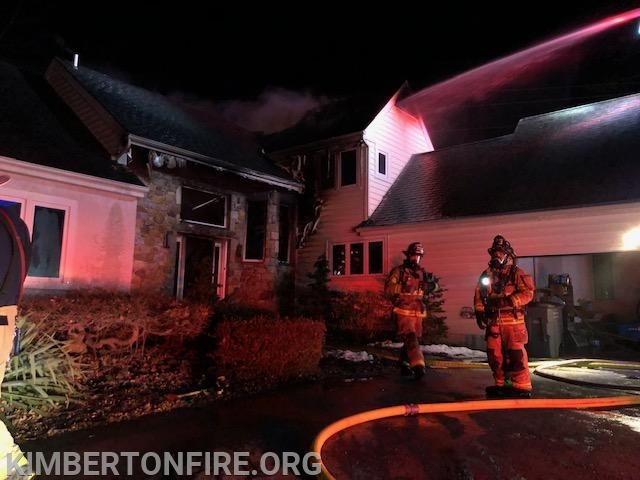 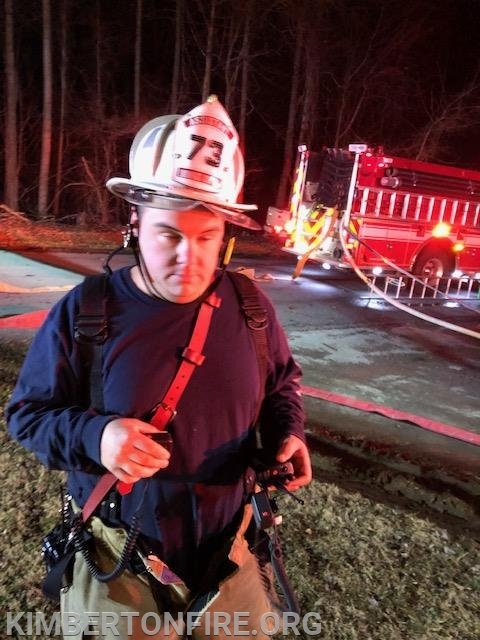 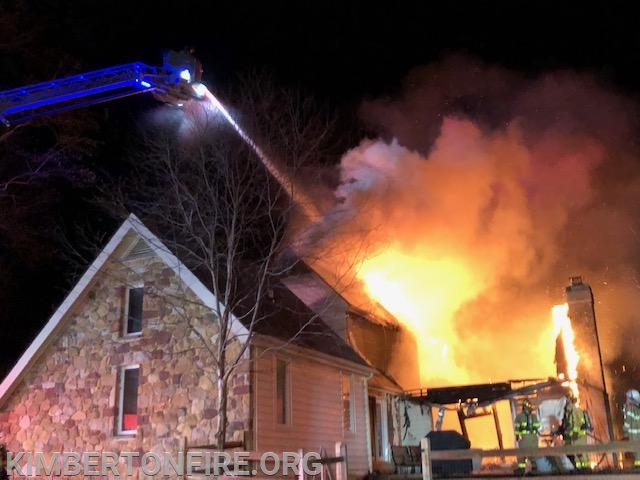 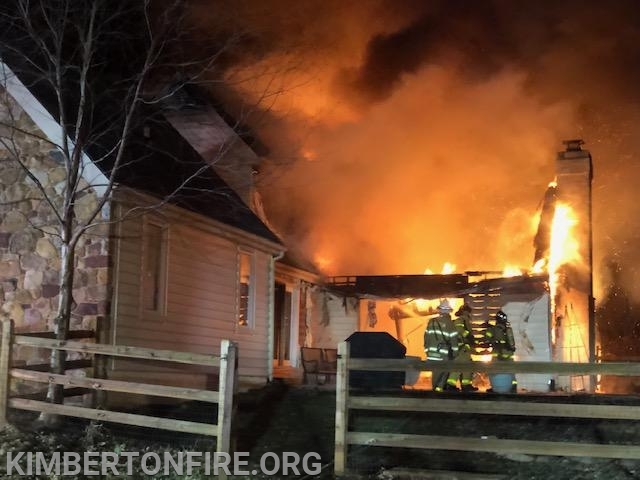 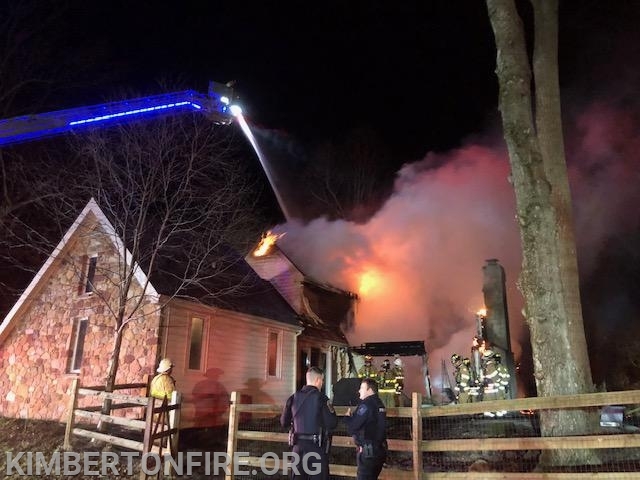 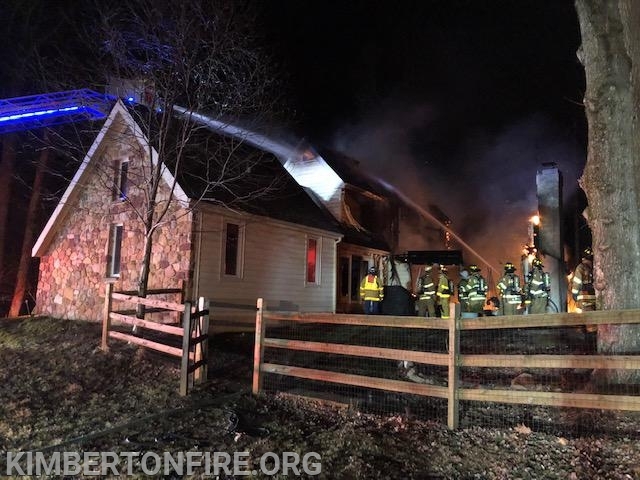 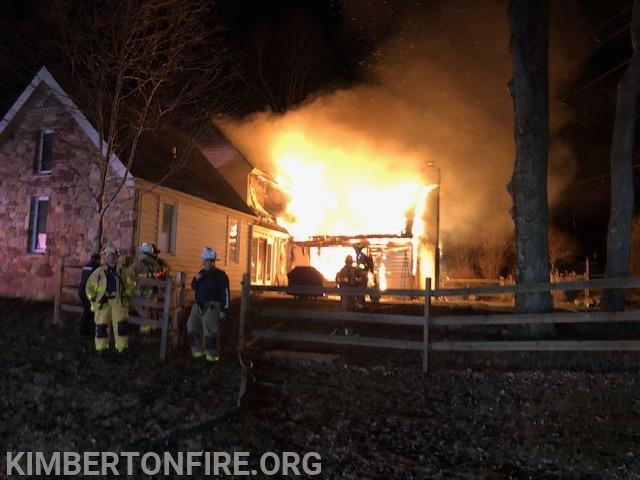 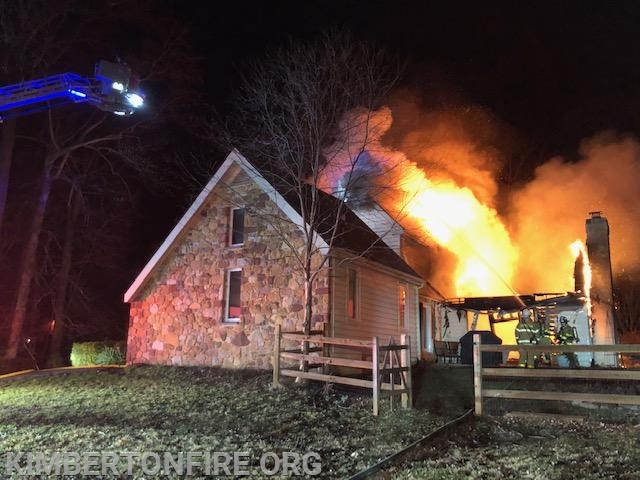 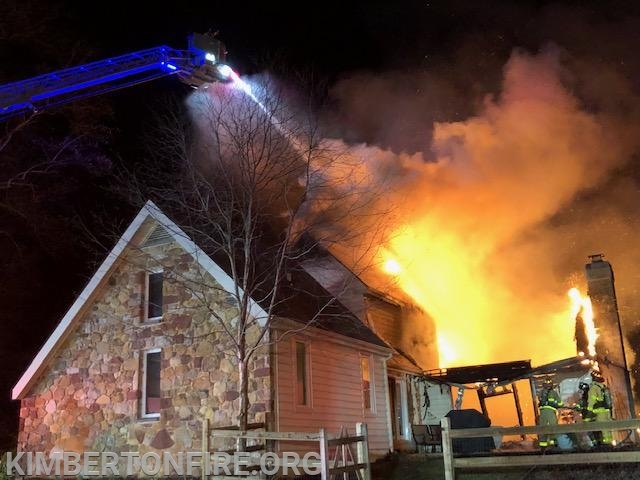 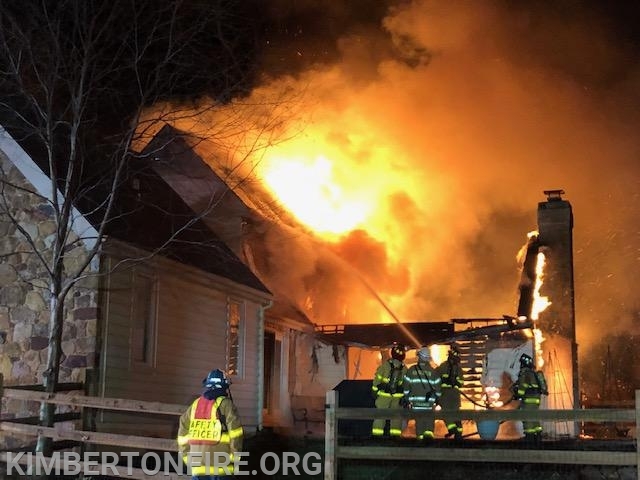 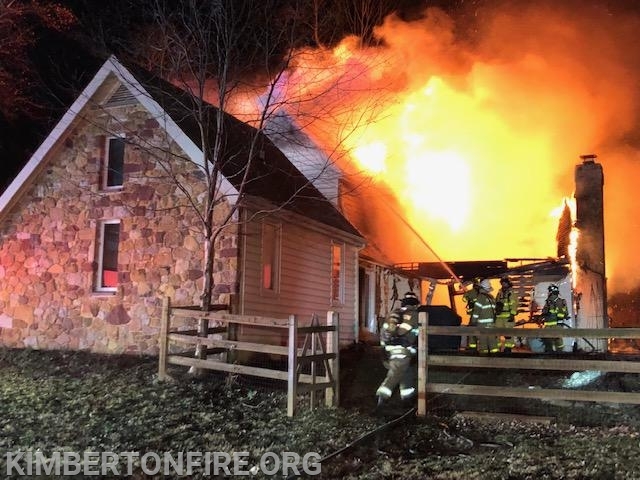 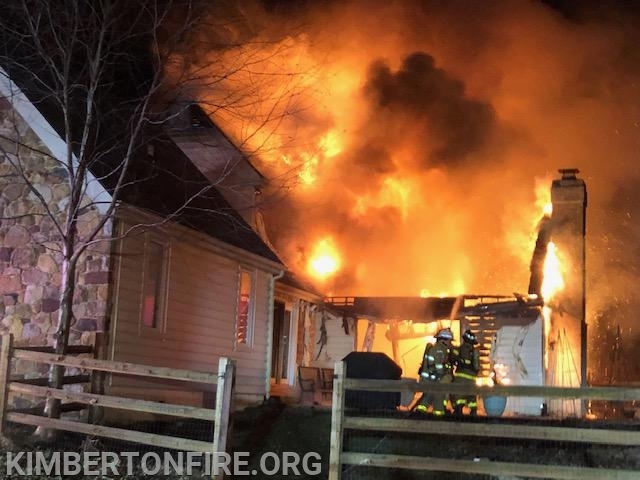 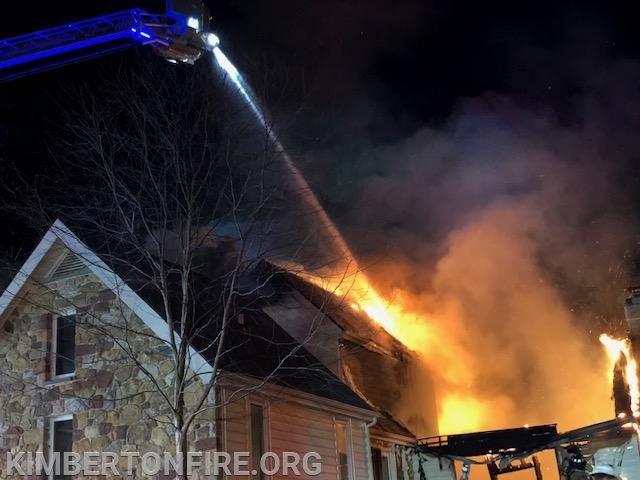 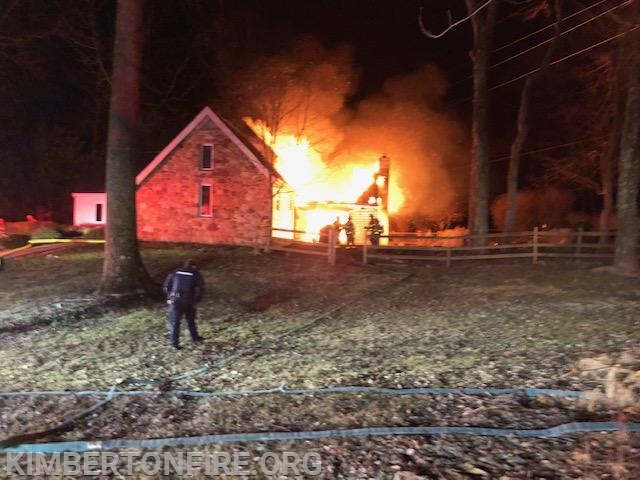 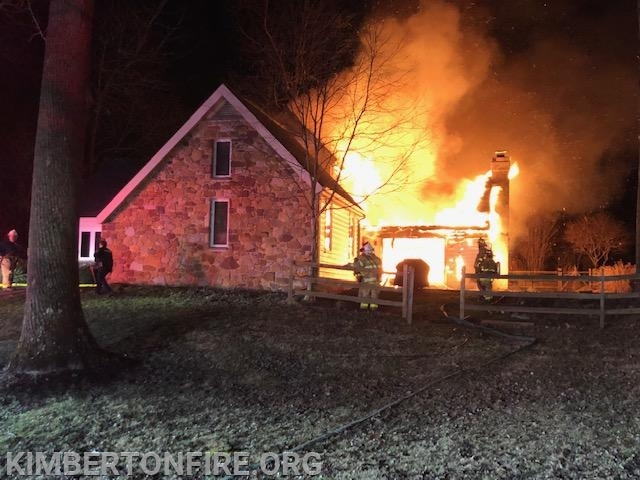 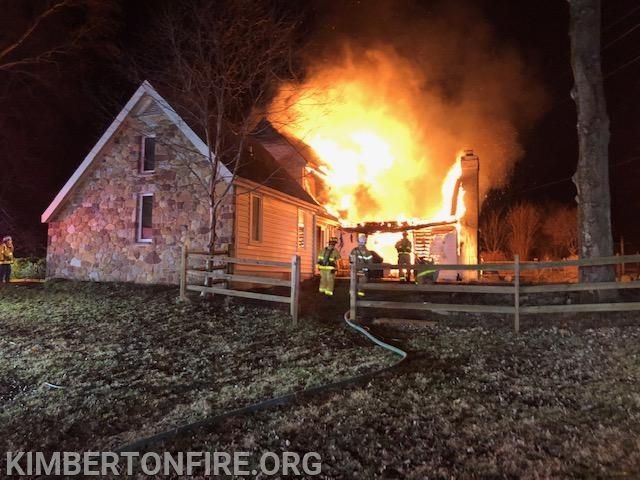 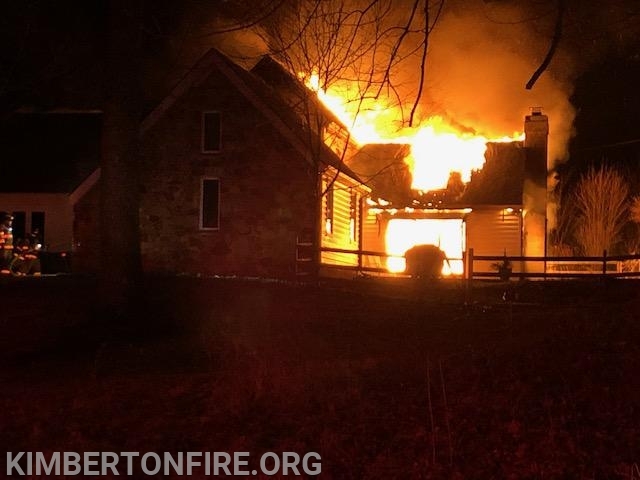 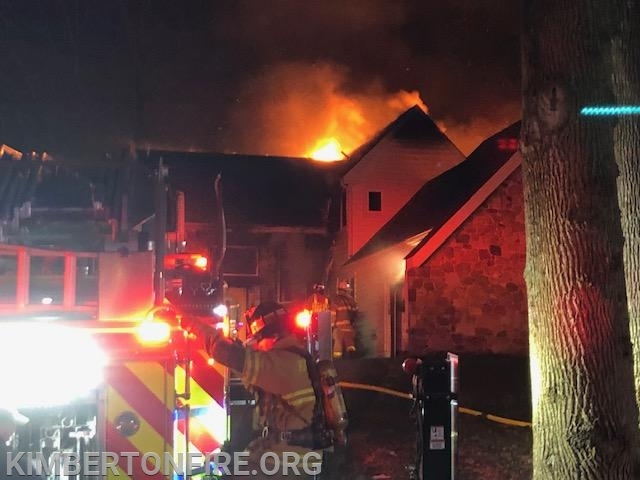 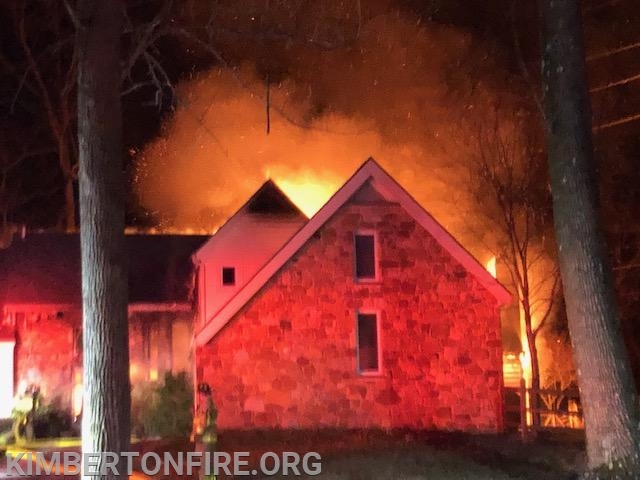 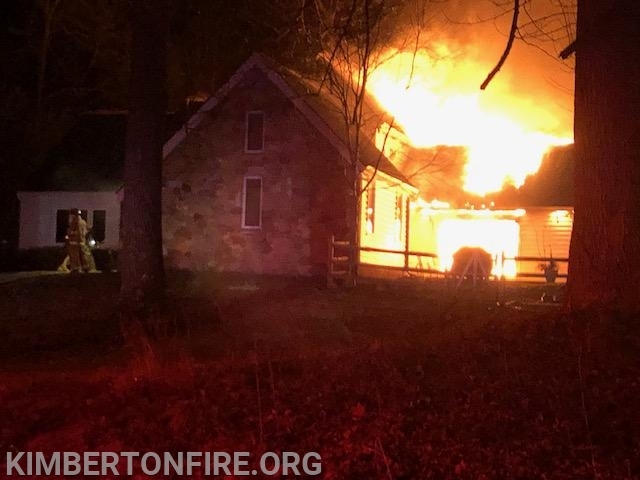 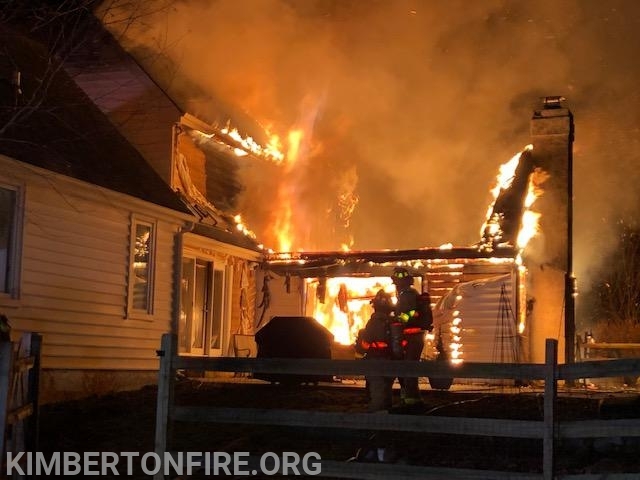 Late Sunday NIght Feb 24th The Kimberton Fire Co. was at the station cleaning up from an earlier fire when they were dispatched with other Departments for a working house fire. 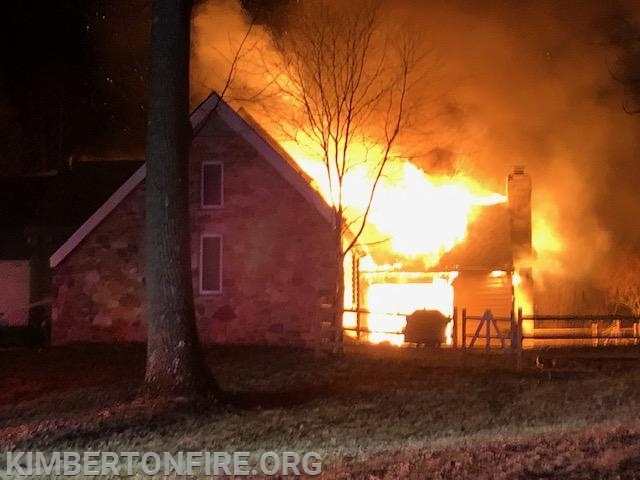 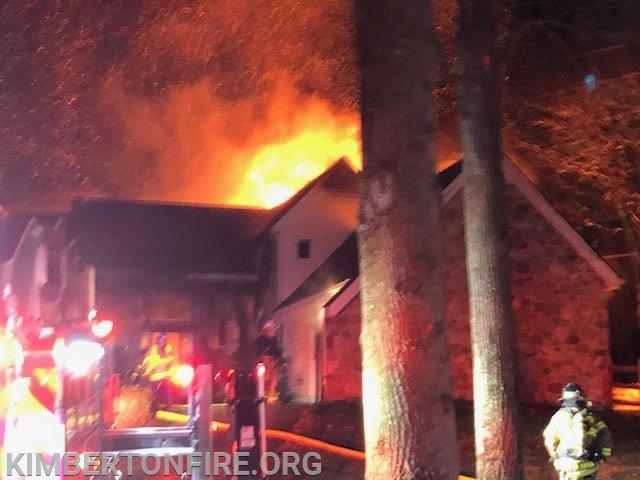 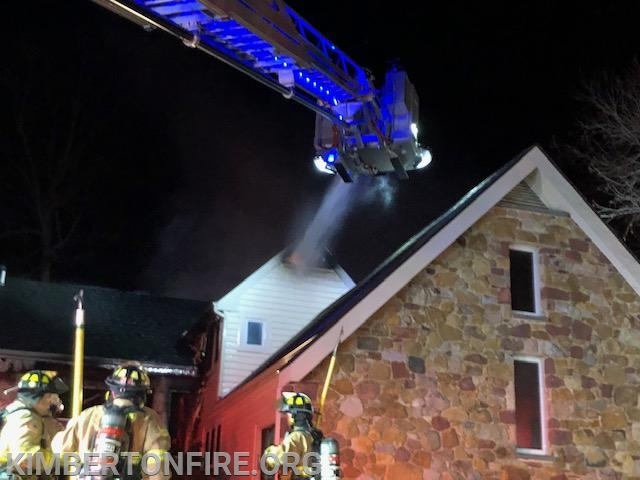 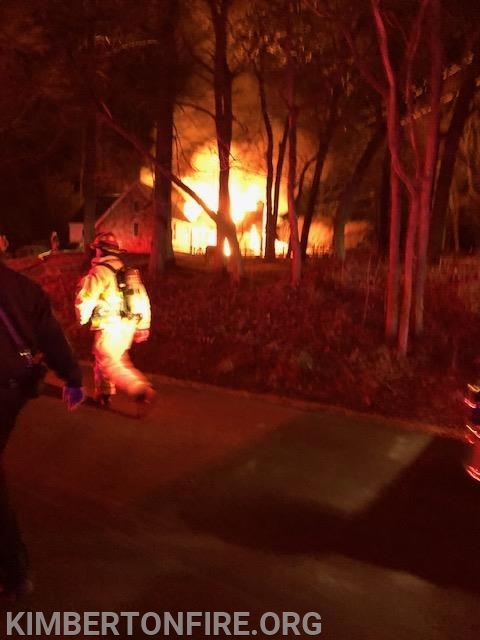 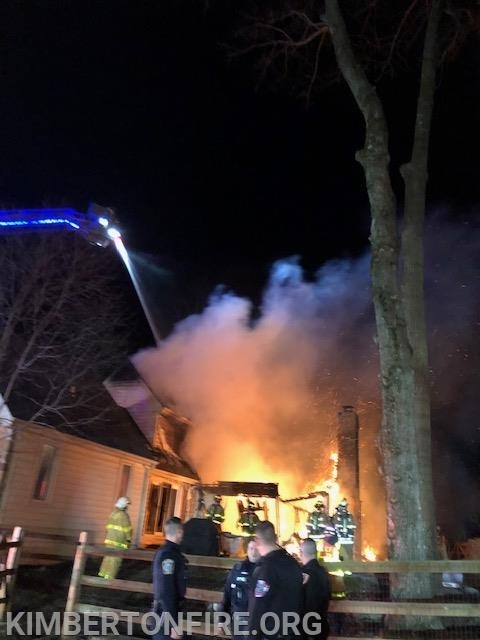 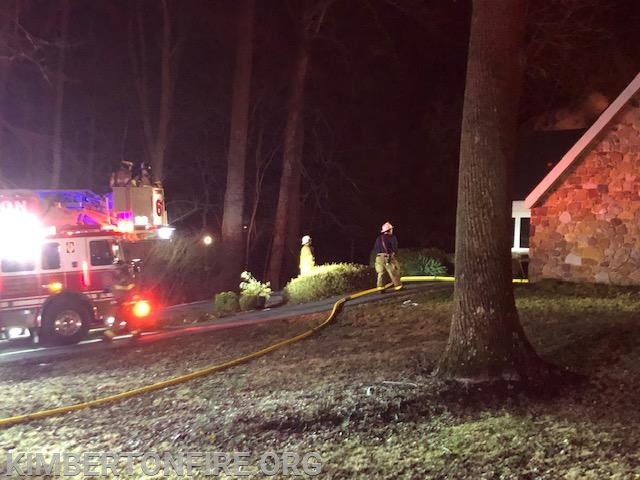 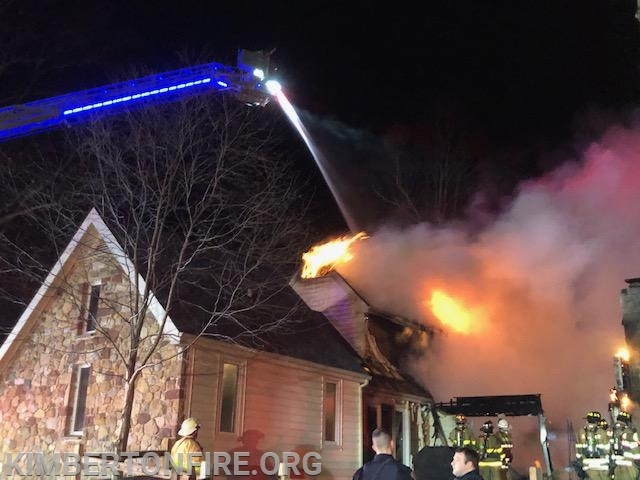 When crews arrived they were met with heavy fire to the rear of the house multiple handlines were put into service while the tower was set up in the driveway then attacking the fire with a master stream. 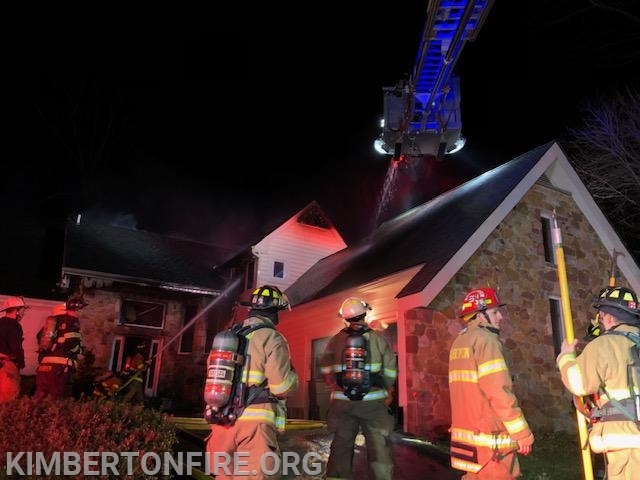 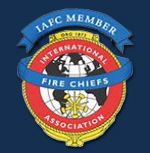 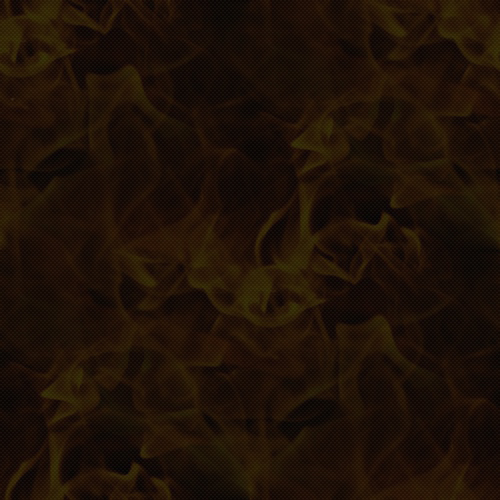 Crews worked quick and hard to get the fire under control. 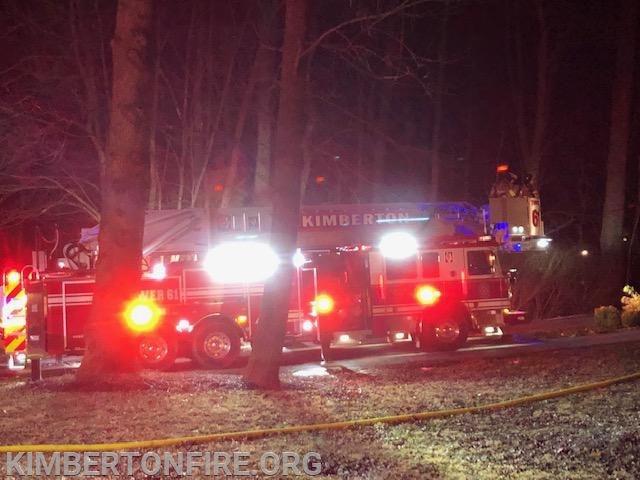 Tankers were also brought into the scene for a water supply.